We have successfully contacted each of the 8 observatories on our first attempt. This bodes very well for their health and status, which is the next thing we will be carefully checking with the next contacts in the coming days. It is an amazingly rewarding feeling to spend such an intense and focused time working on CYGNSS and then, in a matter of just a few hours, have the entire constellation suddenly come to life. I am excited (and a little exhausted) and really looking forward to diving into the engineering data in the coming days, and then into the science data in the weeks to follow. Principal Investigator Dr. Christopher Ruf inspects CYGNSS in the lab, February 2015. Eight for Eight! All Satellites Contacted! The eighth CYGNSS satellite was contacted at 3:30 p.m. EST through the Chile ground station — 100-percent success! Full constellation redundancy achieved. CYGNSS satellite six was contacted at 3:01 p.m. EST, seven at 3:28 EST, both by the ground station in Chile. One more to go! The fifth CYGNSS satellite was contacted at 1:53 p.m. EST — also at a Chile ground station. Three to go! The fourth satellite was contacted at 1:48 p.m. EST through a ground station in Chile — four more to go! The second satellite was contacted at 1:21 p.m. EST through our Hawaii ground station, the third at 1:24 p.m. Both are healthy. Five to go! 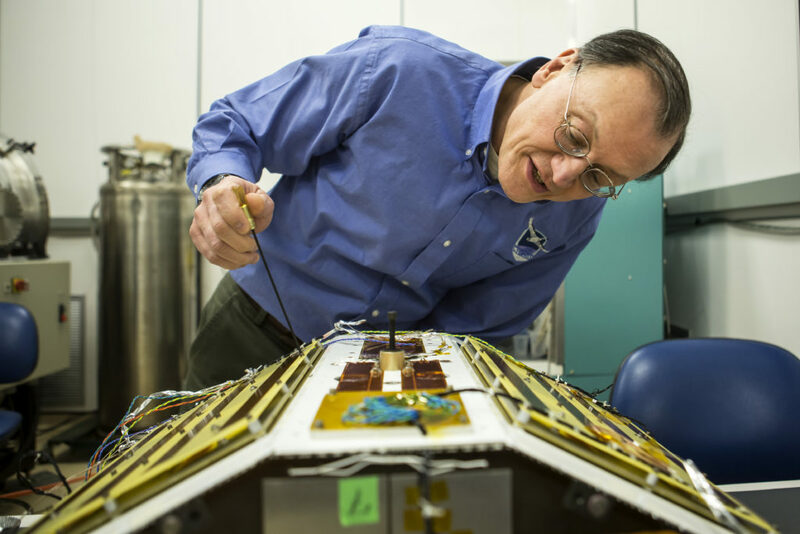 First CYGNSS micro-satellite is healthy! 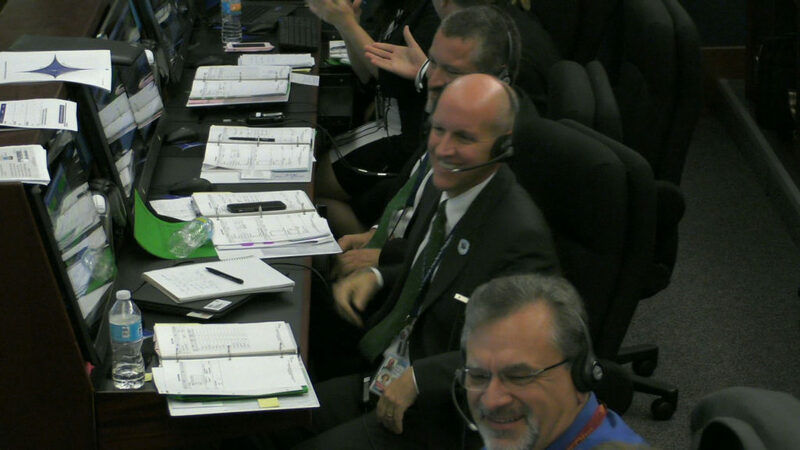 Contact was successfully established at 11:42AM EST through the Hawaii ground station. Contact with the second CYGNSS micro-satellite is expected at approximately 1:20pm EST. Hurricane forecasters will soon have a new tool to better understand and forecast storm intensity. A constellation of eight microsatellites, called NASA’s Cyclone Global Navigation Satellite System mission, or CYGNSS, got a boost into Earth orbit at 8:37 a.m. EST today, Dec. 15, aboard an Orbital ATK Pegasus XL rocket. 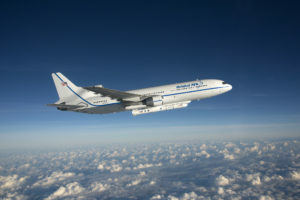 “The deployments looked great — right on time,” said John Scherrer, CYGNSS Project Manager at the Southwest Research Institute and today’s CYGNSS mission manager. “We think everything looks really, really good. About three hours after launch we’ll attempt first contact, and after that, we’ll go through a series of four contacts where we hit two [observatories] each time, checking the health and status of each spacecraft,” Scherrer added. Prelaunch activities went smoothly throughout the morning, aided by good weather and healthy vehicles, according to NASA Launch Manager Tim Dunn of the agency’s Launch Services Program. 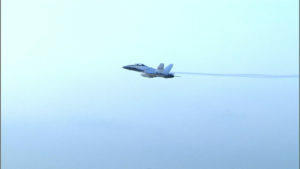 A NASA F-18 chase plane from Armstrong Flight Research Center in California provided visual contact and video of the conjoined Stargazer aircraft and Pegasus XL rocket. The chase plane took to the skies minutes before the Stargazer went airborne at 7:38 a.m.
Only 13 minutes after launch, the first pair of CYGNSS microsatellites deployed, with the rest releasing in pairs every 30 seconds. “It’s a great event when you have a successful spacecraft separation – and with eight microsatellites, you get to multiply that times eight,” Dunn said. The team expects to begin getting science data next week, Ruf said. There will be a one- to two-month commissioning phase in which each microsatellite will be checked out and maneuvered into its final position. The CYGNSS constellation is expected to be operational in time for the 2017 hurricane season. 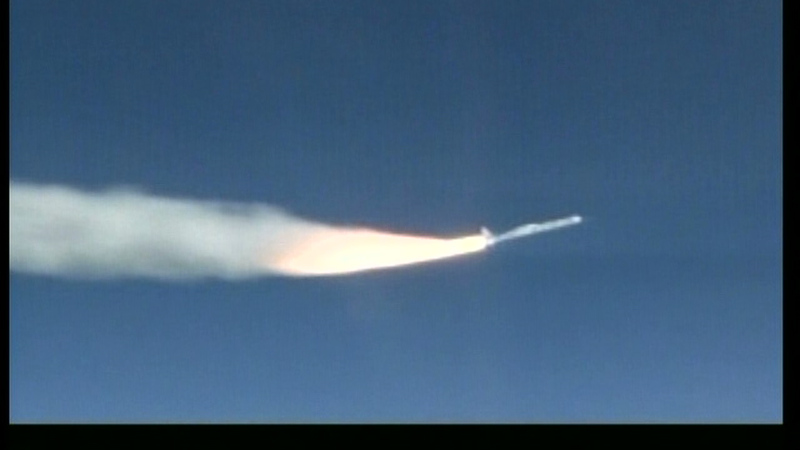 “Thanks, Pegasus and NASA, for a smooth ride,” Scherrer said. Teams in the control rooms at Cape Canaveral Air Force Station in Florida are applauding the final successful deployment of the CYGNSS observatories.